In August 2014, USB 3.1 was published by the USB Implementers Forum (USB IF) as an interface for data and power supply One of its innovations is the USB Type-C™ plug. The novel elliptic shape of this 24 Pin plugcharacterize it and makes it easy to differentiate from other USB plugs. USB 3.1 is said to be the future-proof interface for every application whereby it would fulfill its partial name "universal" much more than every other USB version before. Most important improvements of this specification are 1 the double-sided usability of plug and cable, 2 the doubled data transfer rate and 3 the increased capability for power supply and charging functionality, for details see below. The USB Type-C™ plug is double-sided usable, so it can be plugged into the jack in both directions - that means a convenient novelty in comparison to older USB connectors. With USB Type-C™ it doesn't matter any longer where "top" or "bottom" are, because the plug fits into the port independently of its rotation direction. Also with a USB Type-C™ to USB Type-C™ cable, there is no difference between "start" or "end". Which cable end has to be connected to the host and which to the device doesn't matter, because both cable connectors are equally functional. The data transfer protocol of the earlier predecessor USB 3.0 is now called SuperSpeed USB 3.1 Gen 1. With this protocol data rates of up to 5 Gbps are possible. The fastest transfer mode is the protocol SuperSpeed USB 10 Gbps (USB 3.1 Gen 2). It enables data rates of up to 10 Gbps. 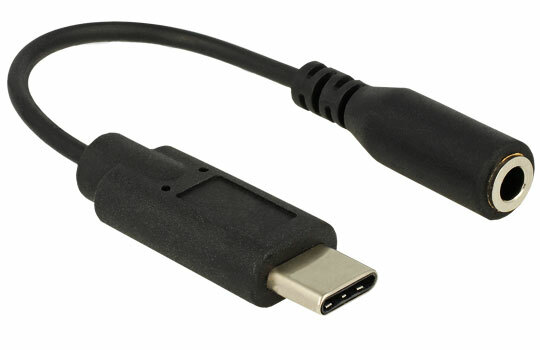 The USB Type-C™ plug can be used for all USB connections, so also for older USB devices and cables. 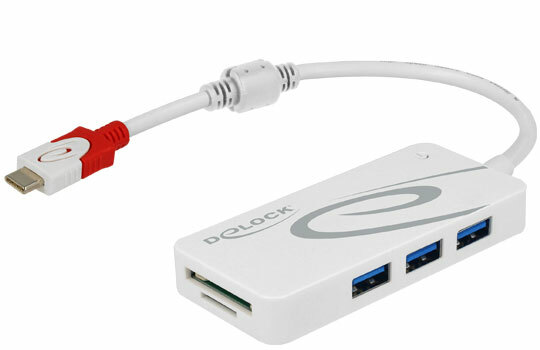 To achieve the highest possible data rate of 10 Gbps, it is important that both of the connected devices, as well as the used cable, do support the protocol USB 3.1 Gen 2. Only in this case the data transfer can work at this rate. 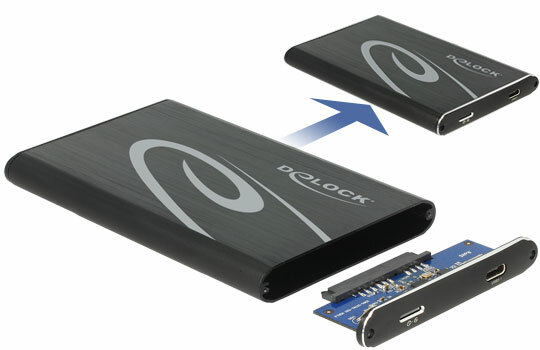 USB 3.1 supports USB Power Delivery 2.0 (shortened: USB PD) that specifies the power supply. Thereby a maximum power consumption of 5 A and 20 V (100 watt) is possible. Power supply works in both directions. 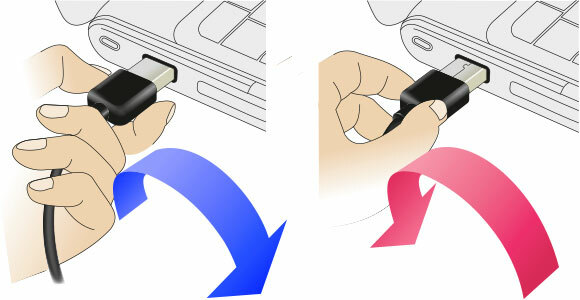 Via USB it is not only possible to charge Smartphones or Tablet PCs. Thanks to USB Type-C™ and USB PD it is also possible to supply power to bigger or high-performance devices like e.g. displays or laptops. Precondition is the USB PD support of the devices on the one hand and of the cable on the other hand. In this way, for example, a display with USB Type-C™ connector and USB PD support that is connected to a power adapter can charge a laptop while signals can simultaneously be transferred from the laptop to the display. By the way: The designation USB Type-C™ within the name of a device or product does not in every case guarantee that this device is equipped with USB 3.1 Gen 2 or USB PD. It is advisably to read the product specifications thoroughly. The protocol diversity the USB Type-C plug can deal with has been significantly extended. Beside USB 2.0 / USB 3.1 Gen 1 / USB 3.1 Gen 2, also DisplayPort™, PCI Express, Thunderbolt™, HDMI or MHL signals are compatible now. 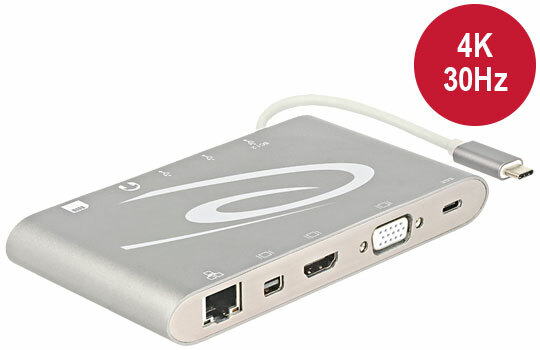 Via an USB Type-C connection™ the transfer of audio and video signals even parallel to the USB data stream and charging current is possible. 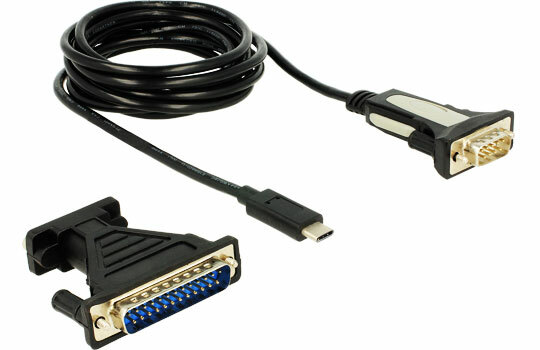 Furthermore, a VGA display can be connected with an appropriate converter. Not only because of the abovementioned both-sided usability, the USB Type-C™ plug is much more robust than its predecessor. According to the USB IF the plug is designed in a way that it withstands 10.000 mating cycles. That means in absolute terms a Smartphone could be charged once a day for 329 months (= plug in / pull out again), for example. Compared to these 10.000, for the USB 3.0 type-A plug a lifespan of up to 5.000 mating cycles is stated. The USB Type-C™ connector has a slim design similar to the Micro USB connector, but is robust enough to be completely suitable for use in laptops, tablets or other mobile devices. The USB Type-C™ jack with its small measurements of only 8.4 x 2.6 mm is ideally suitable for slim smartphones as well as desktop PCs and entertainment electronics devices. With USB Type-C™ connectors - using adapters or cables - connections can also be made to different USB devices, that means to Non-USB-Type-C™ devices. In this way, pre-existing hardware or peripheral devices can still be used. As a consequence of its functionalities, the USB Type-C™ interface will gain more and more importance. So already today and also in future at an increasing rate, fewer power adapters for connected devices are and will be needed. For example a laptop can be connected to a docking station that supplies the laptop and other devices with power. Not least, USB Type-C™ can reduce malfunctions of involved devices because the electromagnetic compability has been upgraded. The USB Type-C™ connector of the MacBook and Chromebook has, additionally to the USB data line, another function. This function is called DP Alt Mode. 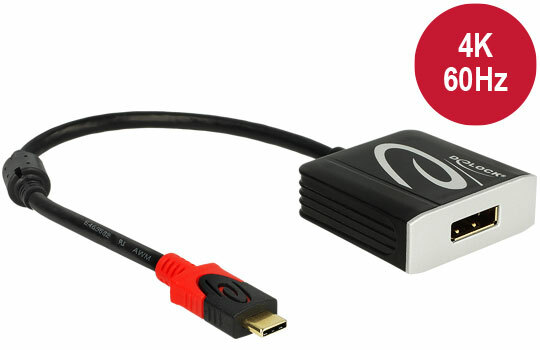 It allows to connect a display adapter to the appropriate USB Type-C™ port of a MacBook or Chromebook. In case this port supports the DP Alt Mode, the signal can be transmitted to the display via the adapter or cable. 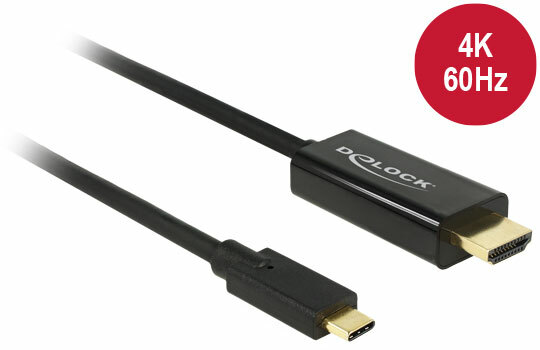 Provided the DP Alt Mode support is given, appropriate USB Type-C™ to DisplayPort™, HDMI, DVI oder VGA adapters can be used in order to connect corresponding monitors. 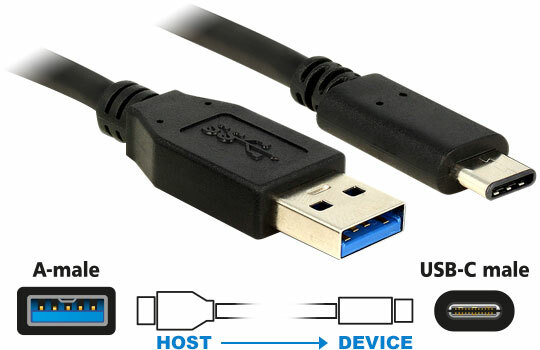 Basic idea of the USB Type-C™ interface is to transfer various kinds of data or signals via a single cable. 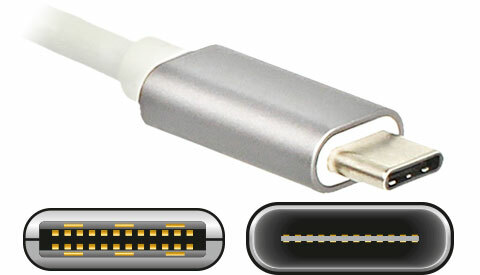 The initially in 2009 by Intel and Apple introduced standard Thunderbolt™ was following the same purpose. From the middle of 2015, Thunderbolt™ 3 makes also use of the both-sided applicable USB Type-C™ plug. 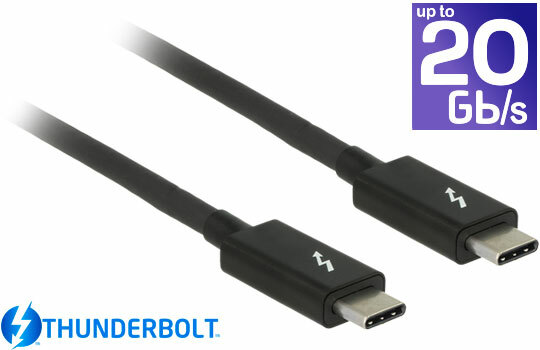 Thunderbolt™ 3 is using the same female jack like USB Type-C™ and supports all USB Type-C™ functions. 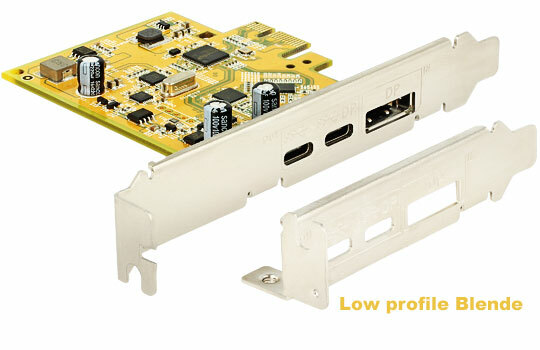 In addition, the Thunderbolt™ 3 controller has a USB 3.1 controller integrated.